New to sewing? checkout our recommended top 10 computerized sewing machines. As the world turns digital, so do sewing machines. Computerized sewing machines contain small computers that control many of the machine’s motors. As a result, the needle moves so you can achieve more advanced stitch patterns with a push of the button. Also, they can store dozens and in some cases hundreds of stitching and embroidery patterns. Many computerized sewing machines give you the option of downloading stitch patterns from the internet. 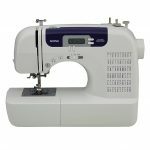 These sewing machines allow you to create a professional looking project in a very small amount of time. 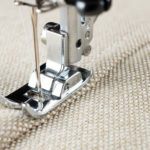 Computerized sewing machines create more consistent end products. Using a manual machine can result in minor variations in thread tension. You might also experience changes in how you feed the material to the foot of the machine. Automatic machines fix these user errors. 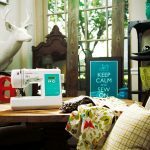 At first, choosing a computerized sewing machine in 2017 might seem overwhelming. With so many options on the market, making a decision requires thorough research. We’re here to help. 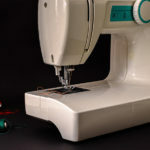 In this article, we’ll overview the top 10 computerized sewing machines. By the end, you’ll have the tools to make the right decision for your unique case. First, Your skill level will impact the type of machine you choose. Maybe you’re asking, “are computerized sewing machines suitable for beginners?”. Note: A young beginner or someone who can get overwhelmed may prefer a manual machine. Since, manual machines come with less overwhelming features. 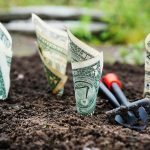 so, you have to know your budget. Because high-end computerized sewing machines can reach into the thousands of dollars. Fear not. A limited budget can still secure a quality computerized sewing machine that doesn’t break the bank. 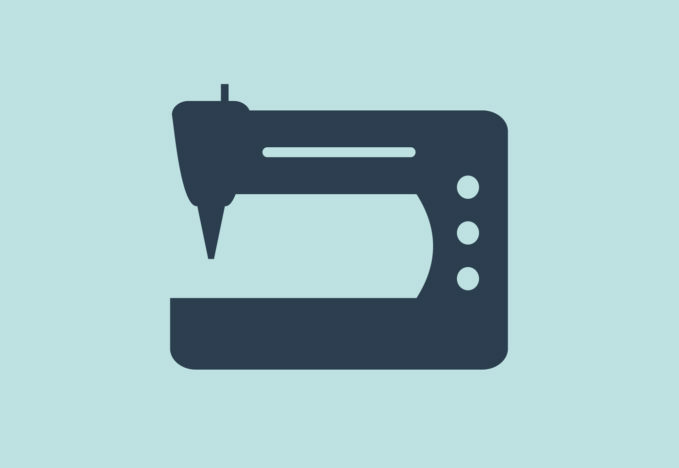 Once you know your budget, determine the purpose of your sewing machine. Do you want a machine that allows you to practice embroidery? Do you need a straight and zigzag stitch? Finally, look for a machine that contains all the attachments you’ll need. If you plan on sewing clothes, you need a zipper front, a blind hem foot, and a buttonhole foot. For quilting, you’ll need a machine with a 1/4 foot and a freehand embroidery foot. Computerized sewing machines remain at the mercy of software. Hence, like normal PC software, your sewing machine might experience software issues. A bug found in a firmware update could turn your computerized sewing machine into a $500 paperweight. so, you have to remember to stay on top of your updates. Also, to care for your sewing machine on a regular basis. Now that you know what to keep in mind when making your buying decision, let’s move on to the top 10 computerized sewing machines of 2017! 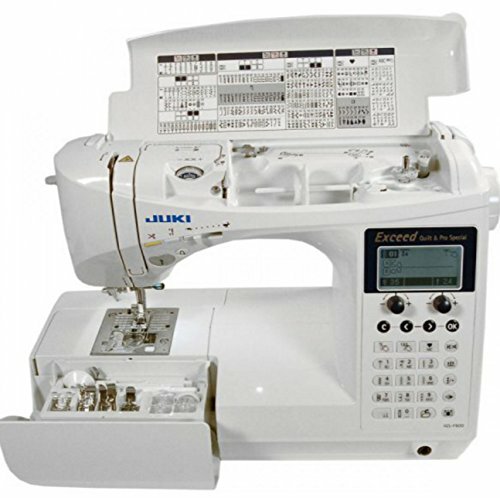 The Juki HZL-F600 computerized sewing and quilting machine packs a powerful punch in a small package. This lightweight machine weighs in at 20 pounds. So, you can use this machine in any workspace. You’ll experience no fabric shrinkage on even the most lightweight of materials. Also, the box feed system provides a consistent, even pull across fabric types. Select from 255 stitch and sewing patterns on an easy to use LCD display. In addition, you can select and adjust stretch stitching, piecing, appliqué, overlocking, blanket stitch, and hemming. You can adjust the automatic tension of bobbin and presser foot by hand if needed. The Juki HZL-F600 comes with a wide extension table suitable for large projects, even quilting. Therefore, you’ll have room to spare for projects that need free arm motion. 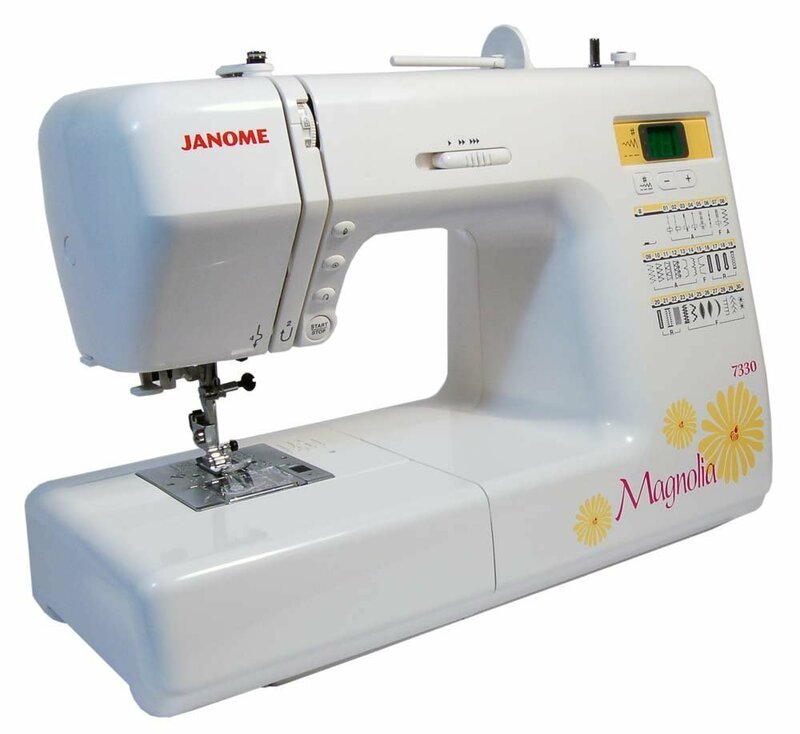 This computerized sewing machine remains the most advanced of the Janome Magnolia line. It seems like, the Magnolia line is very popular and effective for beginners and intermediate sewers alike. The Janome Magnolia 7330 weighs in at 18.2 pounds. The sturdy design includes both LCD and LED computer screens. You can adjust you speed control via a slider. Also, the Magnolia 7330 comes with adjustable stitch width and length. There is no need for foot pedal for the Magnolia 7330. Instead, the machine includes a start/stop and up/down button to control the needle. Finally, the only con is that the machine does not include a carrying case. The Brother HC1850 handles any fabric you throw its way. If you need a machine that handles simple monograms to creating decorative quilts, look not further. 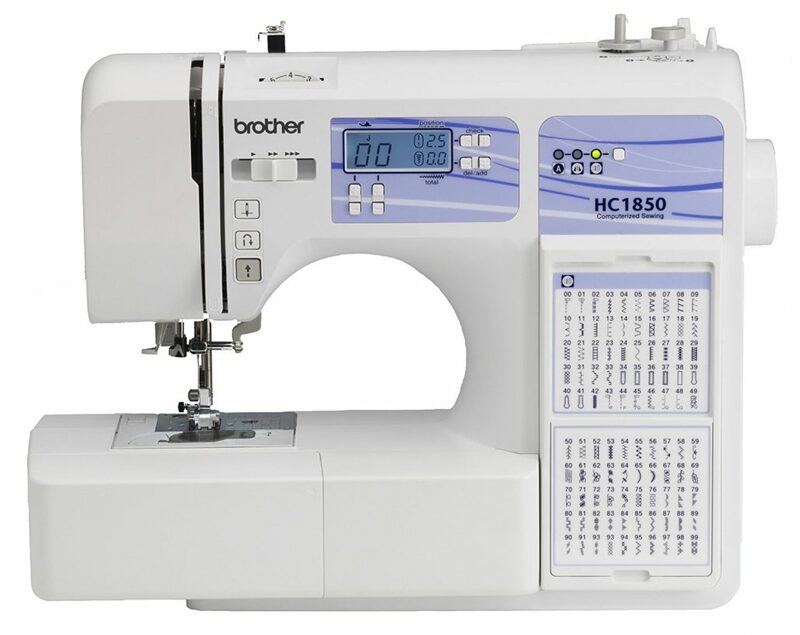 In addition, The Brother HC1850 comes with 130 built-in stitches, 170 stitch functions, and 55 alphanumeric sewing stitches. While the Brother HC1850 comes with a host of features, it proves light and costs under 200 dollars. Maybe, you are looking for a sewing machine that provides professional quality without the expensive price tag? The Janome DC2013 offers a wide variety of computerized sewing machine features for a reasonable price. 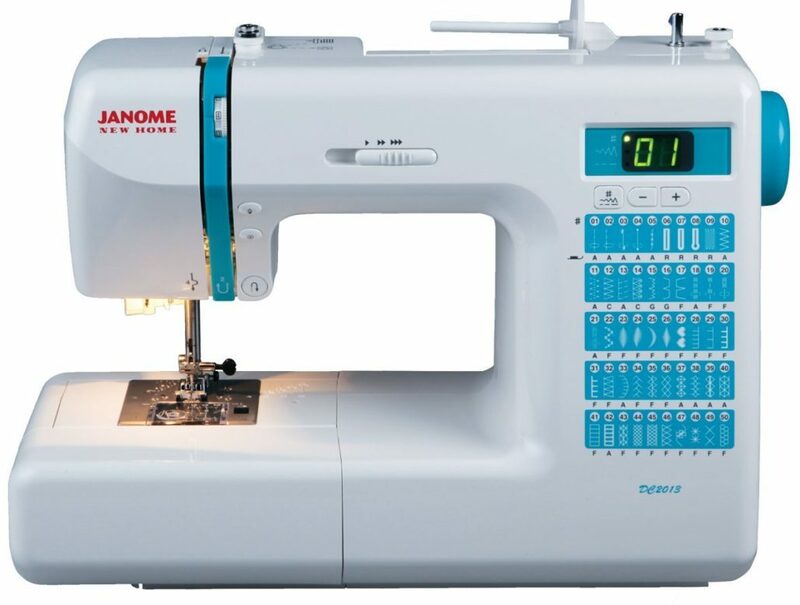 It also includes 50 built-in stitches and 3 buttonholes.In addition, the Janome exclusive Superior Feed System results in high-quality stitching in no time! Finally, the most special feature of the Janome DC2013? It’s halogen lighting. This bright lighting sits at the stitching point to make sewing that much easier. 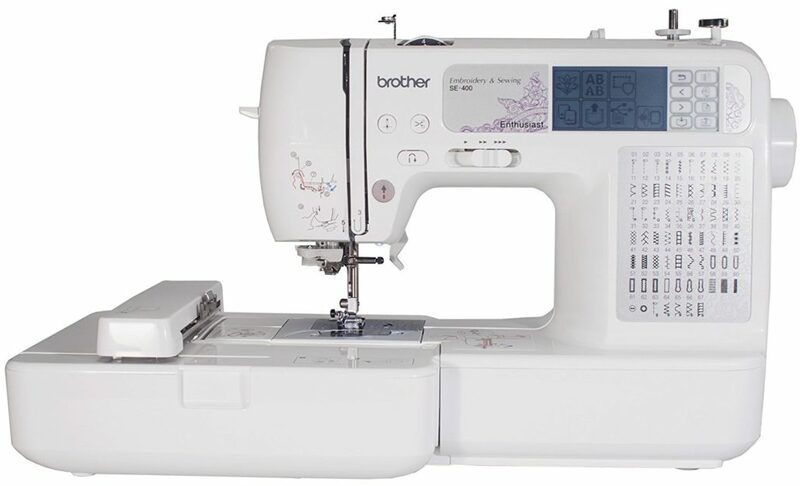 The Brother LB6800PRW offers 67 built-in stitches with 98 functions. Maybe, you are looking for a machine that can handle embroidery projects? 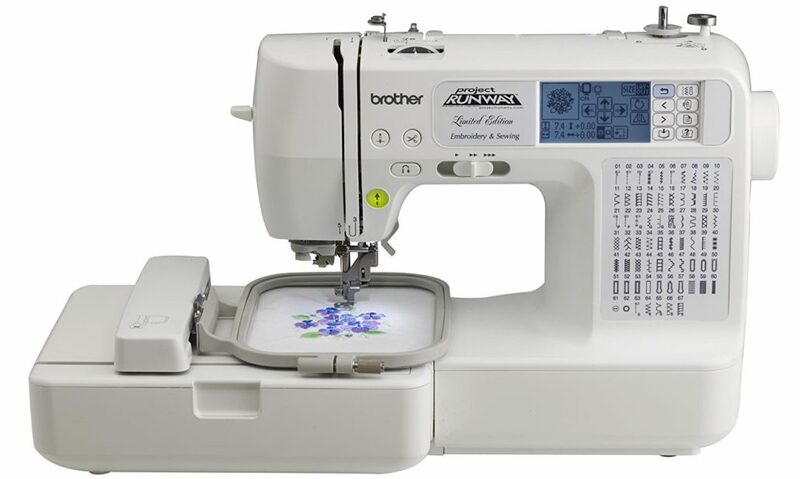 This Brother model includes 70 built-in embroidery designs. It also includes a 4″x4″ embroidery area. In addition, The 7-point feed dog means smooth fabric feeding for any user. Embroidery enthusiasts can enjoy a multitude of exclusive, downloadable designs. Furthermore, this selection includes licenses characters from Warner Brothers, Nickelodeon, Disney and Disney Pixar. This computerized sewing machine comes with plenty of storage space inside of the machine for your accessories. It also includes a maximum sewing speed of 850 stitches per minute. 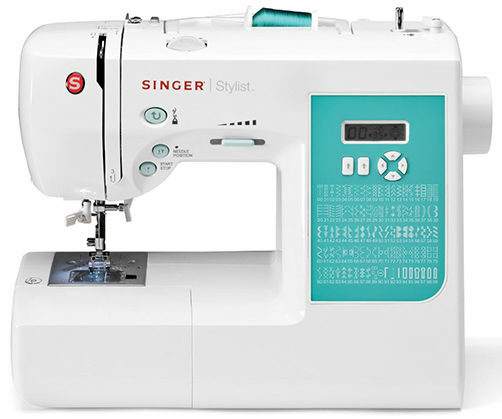 In addition, this model provides 140 total stitch functions and 8 styles of one-step buttonholes. 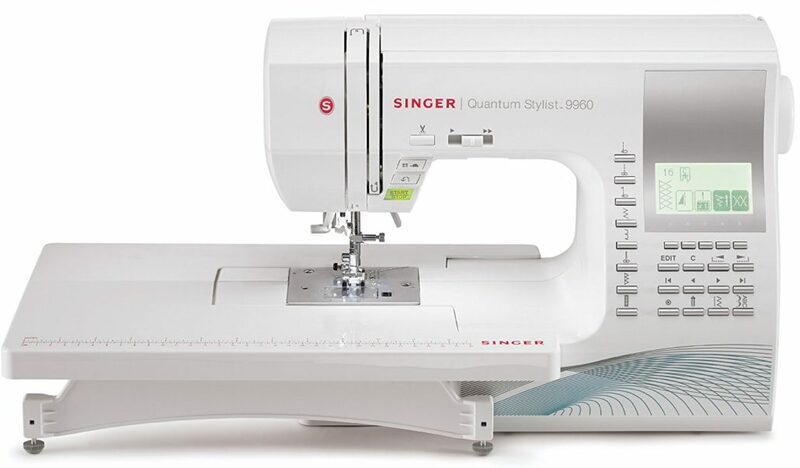 The Singer 9960 Quantum Stylist comes with 600 built-in stitches, 13 buttonholes, and 5 different fonts. Also, it offers an extra wide extension table that makes large sewing projects and quilting easy. 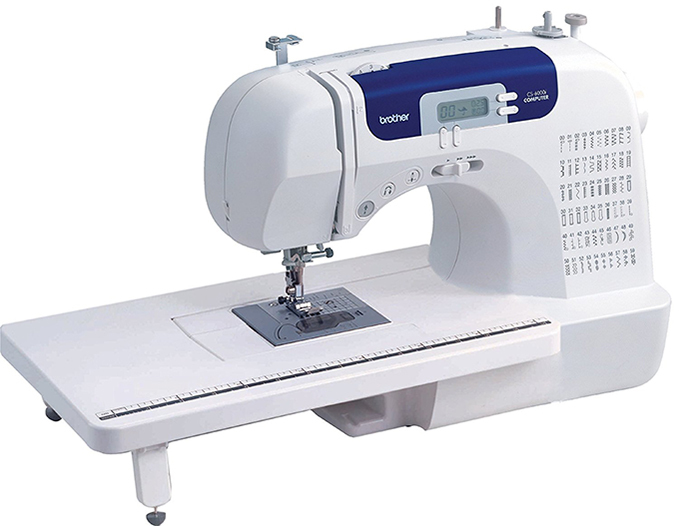 In addition, automatic threading and bobbin winding make this sewing machine’s setup a breeze. 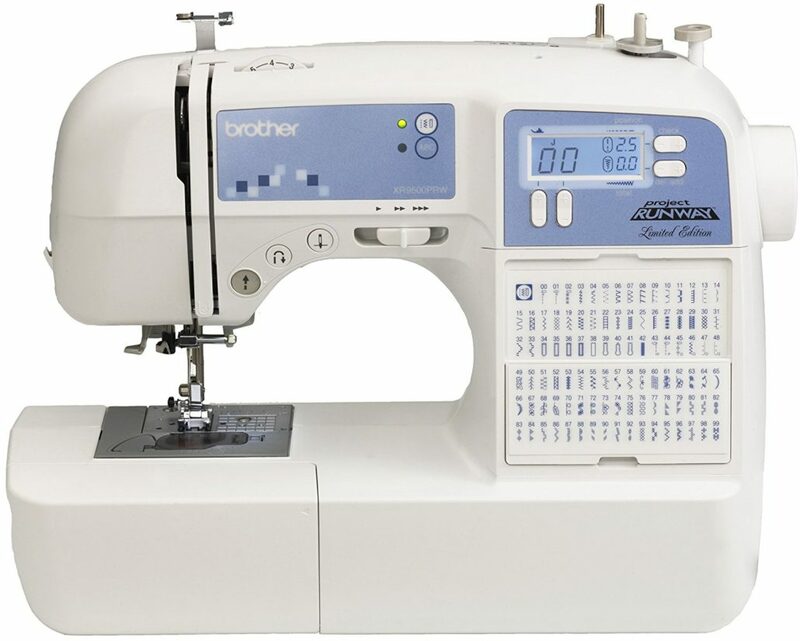 The Brother SE400 provides excellent value with features typical of expensive models.This machine handles sewing, quilting, and embroidery. In Addition, you can import thousands of designs. Also, you can digitize your own! There’s no better way to make your own unique designs come to life. Searching for an award winning machine? Consumer’s Digest recognized this computerized sewing machine not one, but two times! So, when you buy a Singer 7258 you get excellent construction quality, performance, efficiency, warranty, styling, ease of use and maintenance. Hence you can use this machine as a beginner or and intermediate sewer. Also, this powerful computerized sewing machine can undergo even the heaviest use. Because its comprised of aluminum, it provides heavy-duty support. The Brother cs6000i works for both casual and serious users alike. With this computerized sewing machine, you’ll get 60 built-in stitches and 7 buttonholes. You’ll also receive various speed controls. In addition, you can even adjust stitch width and length. The Brother cs6000i uses an LCD display. Working on a small cylindrical hem? No problem! The Brother CS6000i creates professional results every time. Working on a quilt? The Brother cs6000i comes complete with a quilting guide. If you’re looking for an effective, inexpensive option, choose the Brother cs6000i. Furthermore, if you want more details on the Brother cs6000i check out our review here. Choosing the right sewing machine takes time and research. Thus, Investing the time now could cut your actual sewing time in half! Computerized sewing machines improve speed, consistency, and quality of any project. Whether you’re working on a large quilt or a small hem, computerized machines help you achieve a high-quality result. So, remember to determine a budget that works for you. Next, consider the types of projects you’ll undertake. Each requires a special set of functions. Maybe, you want to create your own designs? or maybe you need guides along the way? So, you need to answer a few key question to narrow your search. Finally, finding the right fit doesn’t need to be confusing. 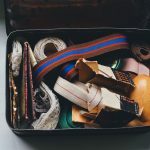 Most of all, the right sewing machine for you depends on your skill level, your budget, and your needs. 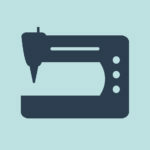 Our list of the top 10 computerized sewing machines can demystify the process!